This also makes a way for many businesses, especially startups, to start the New Year on a high note. When the New Year comes, it brings many hot topics to discuss related to the business; one of which is modern website design for this year. Modern website design does not have a specific definition. The best website design companies and digital marketers constantly push to find better ways to display information, drag the attention and convert the visitors. Every time there’s a new set of elements or features introduced to provide a better user experience. In recent year the following elements have come up as essential features of modern websites. Each one does its part to serve the current understanding of the best ways to offer website visitors the best possible experience. Let’s a quickly run through these 5 essential elements of modern website design that every startup should know this New Year. Let’s put it straight forward – ‘Modern website users are impatient’. They want to know whether what they are looking for is on your website as fast as possible, or they’ll find it elsewhere. Minimalistic design is a user-centric design truth that focuses on offering the user only crisp but effective information they need on any given screen, without a lot of clutter. If you’re starting your brand or business website from scratch, a minimalistic design will set the tone for your website. Every page of a website has a purpose and your design should solve that purpose. In most cases that purpose is to encourage the users to perform some action—whether making a purchase, signing up for a subscription, or just engaging them to explore the complete website. To convey this purpose as clear as possible, CTAs need to be clear and strong. Support your CTAs with other design elements, like white space, color, and contrast, along with the content of the page to direct users toward the desired action. Drilling down into the minimalistic design concept, effective use of white (or empty) space is a critical element of modern website design. Space is an important tool in design because you can use it effectively to split and control the flow of information to the viewer; by directing attention, making on-page elements stand out, and keeping the text readable. Keeping the spaces on a website open and free of clutter contributes to a smooth and clean user experience. More and more, it’s becoming standard to use large, high-resolution images to help tell the story of your brand, Choosing a relevant image that will reflect your business standards is a very crucial part. The right image will catch the user’s attention and engage them with the website. It’s important to make sure the images you use on your website are responsive so that they’ll change in size depending on the user’s resolution and screen size. This helps in enhancing the users experience no matter how they’re accessing the site. The consistency in user engagement should maintain from the header of a web page till the footer of that page. The footer is the perfect place to give your audience more information about your site without breaking the flow of the rest of the page. It can include things like company or contact information, a small site map, links, or other context-based information that will be useful to the audience. It’s important to keep the footer simple and clean, with a look that complements with the rest of the website but is focused on ease of use. 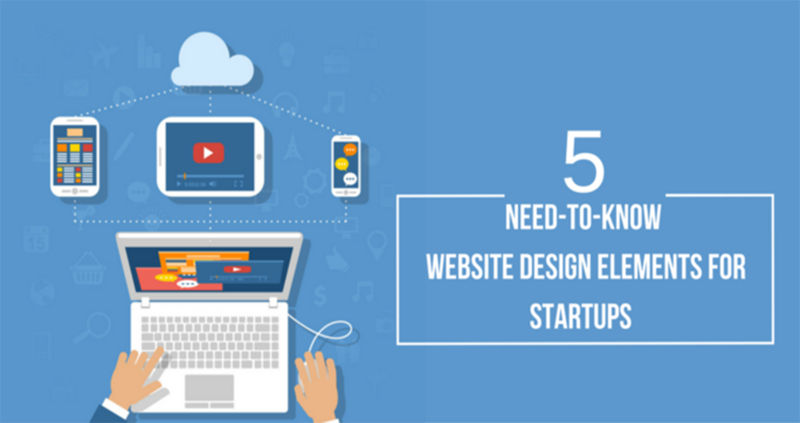 For any startup, considering these elements while designing your business website would be your ticket to gain the competitive edge at the starting phase. Tritiyo Limited, preferred Website Design Company in Dhaka Bangladesh, has helped many startups to make a strong online presence with our best web design services. Our team of website design experts is known for crafting the supreme and creative website designs in Dhaka, Bangladesh.